How are you evaluating YOUr travel provider? Are the hotels safe, and how do you know? Have you seen the safety records of the motor coach company and their drivers? What travel assistance are you guaranteed should something go wrong while you are on the road? Clearly scripted policies and procedures should unexpected issues arise while traveling with us. Thoroughly vetted supplier safety expectations and practices for all contracted vendors. 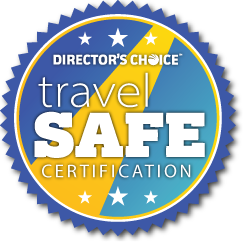 Whether you travel with Director’s Choice or not, we believe all student travel operators and suppliers should be held to similar safety standards to protect districts, schools, and students when traveling.